Podcasts can be a tricky medium. There is a fine line between feeling like you are part of a conversation and those speaking are including you and care about your views (even if they can’t hear you)…and then there’s the awkward ones where it feels as if you are listening in on a conversation that you really shouldn’t be. Great podcasts make us think about something in a new light, or make us experience the wonderful joy of the belly laugh. Here are a few of our favourites that help us do just that. We’re big fans of Wil Anderson and his comedy…and our marketing team loves him on ABC’s Gruen. 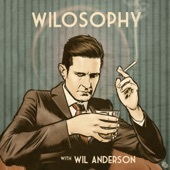 In his podcast, Wilosophy, Wil Anderson asks smart people stupid questions and tries to find out the meaning of life. Or something like that. 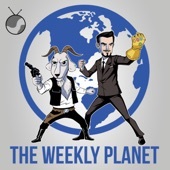 The Weekly Planet covers all things movies, TV shows and comics as well as news, reviews and general nonsense related to comic book movies. 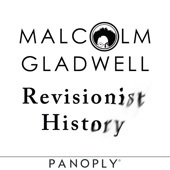 Revisionist History is Malcolm Gladwell’s journey through the overlooked and the misunderstood. Every episode re-examines something from the past, be it an event, a person, an idea, even a song and then asks whether we got it right the first time. Malcom Gladwell is an international best seller who has written enough books to fill bookshelf (click here for a list of his titles). David and Goliath is his latest one which poses the question: What if everything we thought about power was wrong? Three thousand years ago on a battlefield in ancient Palestine, a shepherd boy felled a mighty warrior with nothing more than a pebble and a sling-and ever since, the names of David and Goliath have stood for battles between underdogs and giants. David’s victory was improbable and miraculous. He shouldn’t have won. Malcolm Gladwell challenges how we think about obstacles and disadvantages, offering a new interpretation of what it means endure any number of setbacks. Professional comedians with so-so STEM pedigrees take you through ideas in science…incompetently. Featuring Matt Kirshen, Andy Wood and a variety of great guests – last week they spoke with Dean Burnett who is a neuroscientist, comedian, blogger and author of the new book Happy Brain: Where Happiness Comes From, and Why. The pursuit of happiness is one of the most common and enduring quests of human life. It’s what drives us to get a job, fall in love, watch stand-up comedy, go to therapy, have questionable obsessions, and come home at the end of the day. But where does happiness come from, and why do we need it so much? Is lasting, permanent happiness possible or should it be? And what does any of this have to do with the brain? Happy Brain elucidates our understanding of what happiness actually is, where it comes from, and what exactly is going on in our brains when we’re in a cheery state. 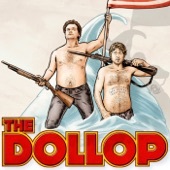 The Dollop is a bi-weekly American History Podcast. Every week, Dave Anthony reads a story to his friend, Gareth Reynolds, who has no idea what the topic is going to be about…and they have just launched a new book: The United States of Absurdity: Untold stories from American history. The United States of Absurdity presents short, informative, and hilarious stories of the most outlandish (but true) people, events, and more from United States history. Comedians Dave Anthony and Gareth Reynolds cover the weird stories you didn’t learn in history class, such as 10-Cent Beer Night, the Jackson Cheese, and the Kentucky Meat Shower, accompanied by full-page illustrations that bring each historical “milestone” to life in full colour. 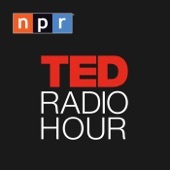 The TED Radio Hour is a journey through fascinating ideas, astonishing inventions, fresh approaches to old problems, new ways to think and create. Based on Talks given by riveting speakers on the world-renowned TED stage, each show is centred on a common theme such as the source of happiness, crowd-sourcing innovation, power shifts, or inexplicable connections. 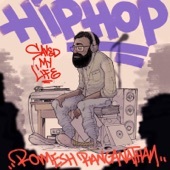 Romesh Ranganathan is an award winning comedian who has a gift for making interviewees spill personal stories and share their recollections of hip-hop. 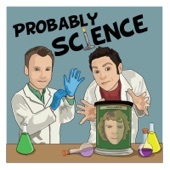 This podcast consistently makes us laugh by delivering great stories. You can head to our Facebook page for further podcast recommendations by the Booko community. Enjoy!